Louis Zamperini, War Hero and Subject of Angelina Jolie's 'Unbroken,' Dies - trendistic.com: ever tried. ever failed. no matter. try again. fail again. fail better. 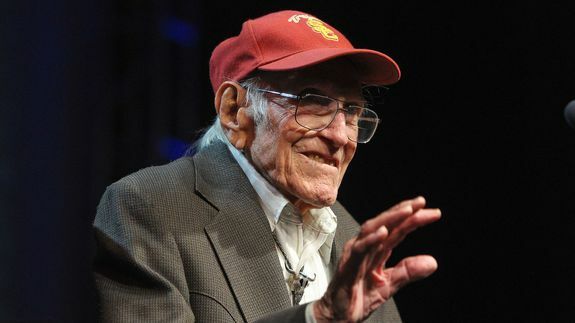 Louis Zamperini, the U.S. Olympic track star and World War II hero whose remarkable survival story is the basis for the upcoming Angelina Jolie-directed movie Unbroken, has died at age 97. Zamperini died Wednesday after a bout with pneumonia, his family said in a statement from Universal Pictures, which is releasing Unbroken in December.